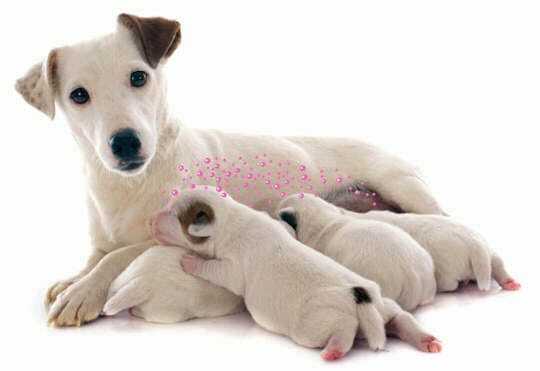 Mother dogs communicate with their puppies using natural “comforting messages” released from the mammary zone. These "comforting messages“ are scientifically called Dog Appeasing Pheromones. They are odourless and are only perceived by dogs. These “comforting messages” provide a strong signal of comfort and security to the puppies but also have the same effect on dogs of all ages. Using these “comforting messages”, ADAPTIL Junior helps puppies to feel as comfortable and secure with their new family as they did with their mother. ADAPTIL Junior promotes better socialisation and learning to help puppies develop into confident, well-balanced adults. ADAPTIL Calm is also reassuring for adult dogs, the “comforting messages” sent by ADAPTIL help dogs feel reassured and relaxed in challenging situations.